Hello! This is Dos Piskas team from Peru, Alexander Abramov. 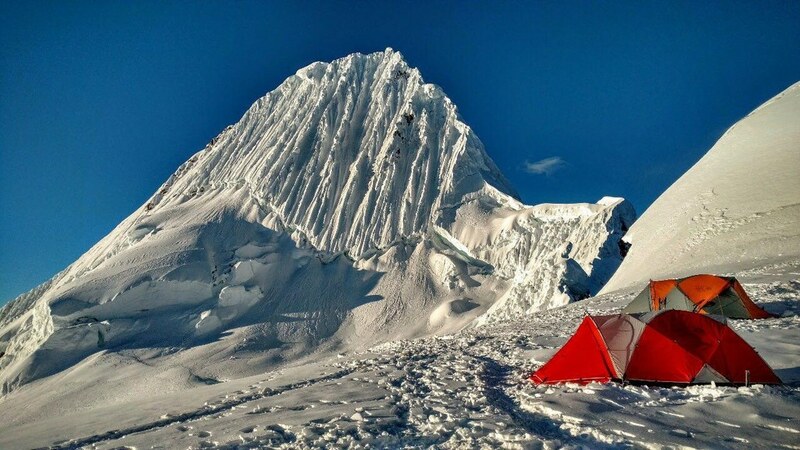 Today, at exactly 8 am, our team climbed to the top of Alpamayo. 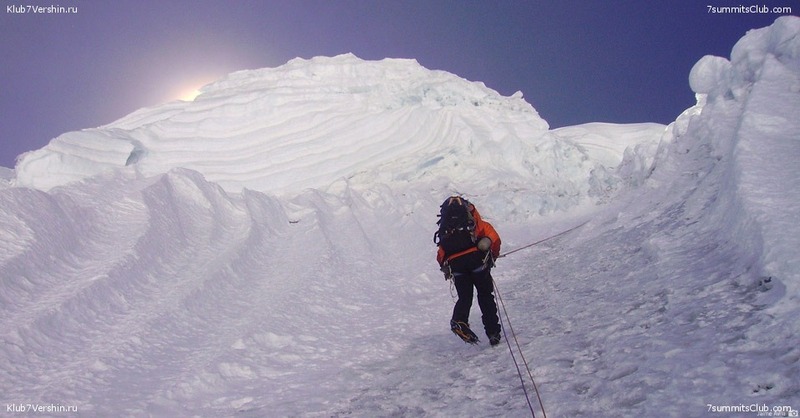 The summit is small, so all climbers could not get together. We came in groups of 3-4 people. The weather was great, which helped us, of course. It was very cold and difficult. Just below the middle of the route there was still snow, and then went completely bare ice. For many, it was a very difficult test. But, nevertheless, all people have shown themselves very well. The mountain is one of the seven in our project "SuperMountains", which includes technical routes, most famous, most beautiful, unique on the continent (Matterhorn, Ama Dablam, El Capitan, Mount Cook, Kenya, Ulvetanna). Now we have already descended to the assault camp and begin descent further down.